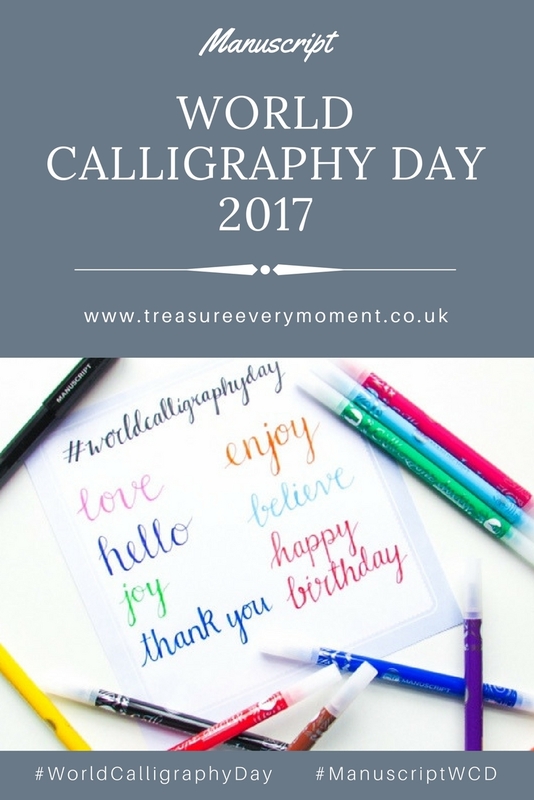 MANUSCRIPT: First Ever World Calligraphy Day 2017 + GIVEAWAY! This year marks the first ever World Calligraphy Day on Wednesday 16th August 2017 launched by Manuscript Pen Company. There are going to be many events and workshops taking place around the world, but mainly at the Pen Museum in Birmingham. Since around Christmas time I have been trying to teach myself the art of calligraphy, as it is a skill that I would love to acquire. I think my love for calligraphy started when it came to planning my wedding over 3 years ago, with so many table plans/place cards/menus/invitations using it beautifully. But when it came to trying it for myself I quickly learnt how tricky it is, spending hours watching and replaying videos on how to write the alphabet in calligraphy. Calligraphy and hand lettering is at the centre of what Manuscript do and as the art has become very popular over the past few years they are encouraging everyone to try it for themselves. My husband gave me the Manuscript Calligraphy Compendium Fountain Pen Set for Christmas after I had been expressing how much I'd love to be able to do it myself, which is why since then I had been taking some precious 'me time' to teach myself. I certainly haven't mastered it, but have really enjoyed having a go and trying to learn a new skill. I was kindly sent the Compact Callicreative Duotips by Manuscript and have been practising my calligraphy skills in readiness for World Calligraphy Day. It's been so much fun playing around with colour, especially as the pens are so easy to use for a beginner like me. No chance of ink getting everywhere or spilling! 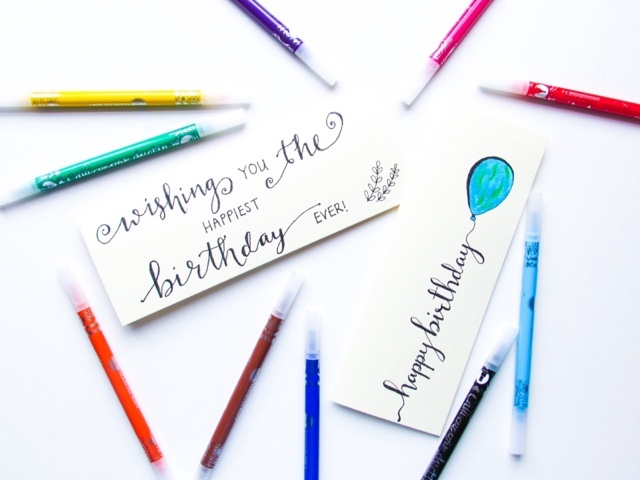 I've even had a go at creating my own birthday cards using my beginners version of calligraphy. What do you think? You can join Manuscript Pen Company to celebrate the art of calligraphy and hand lettering in the heart of Birmingham's Jewellery Quarter. At the Pen Museum there is a chance to discover the history behind the art, as well learn from the experts in designated workshops and demonstrations. 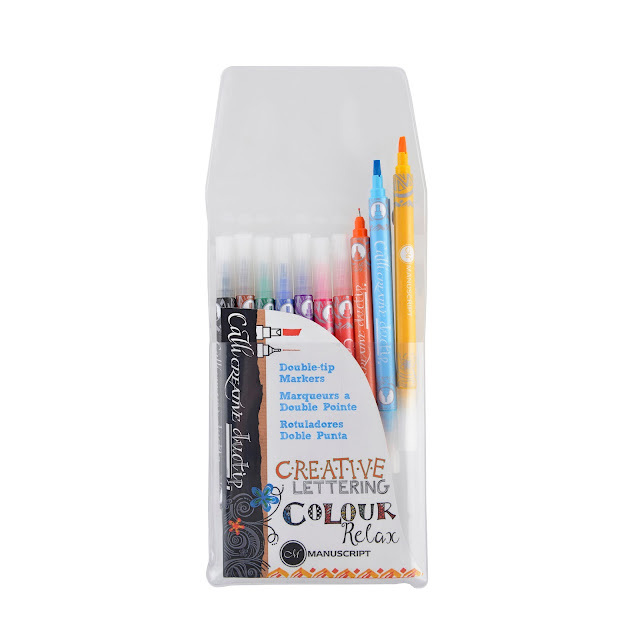 There will be an array of different writing instruments for you to try out, which is ideal if you're new to calligraphy and want to find the pen for you. The event is free (11am-4pm on 16th August) so well worth going to if you live in the local area or planning a visit to Birmingham. 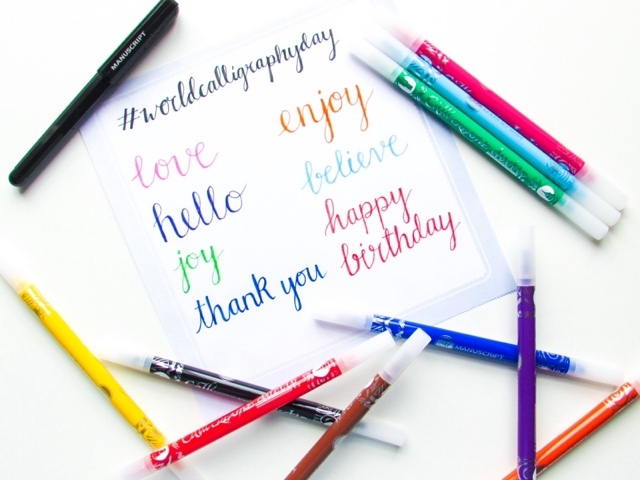 If you can't make it to the Pen Museum then you can still take part in World Calligraphy Day by using the hashtag #WorldCalligraphyDay and #ManuscriptWCD - there will be lots of activities and competitions going on all over social media, so get involved! I've also been pinning away with loads of calligraphy and hand lettering inspiration if you want to have a go yourself - click here to see the board. 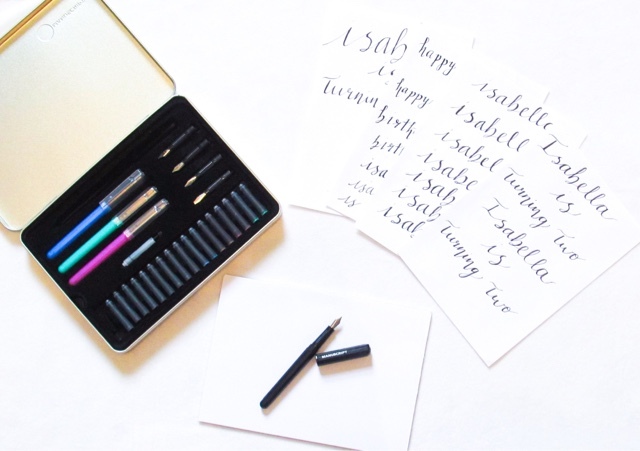 I have teamed up with Manuscript to offer one lucky person a chance to win a Manuscript Modern Calligraphy Set and a pack of Calligraphy Creative Duo Tips Marker Pens! 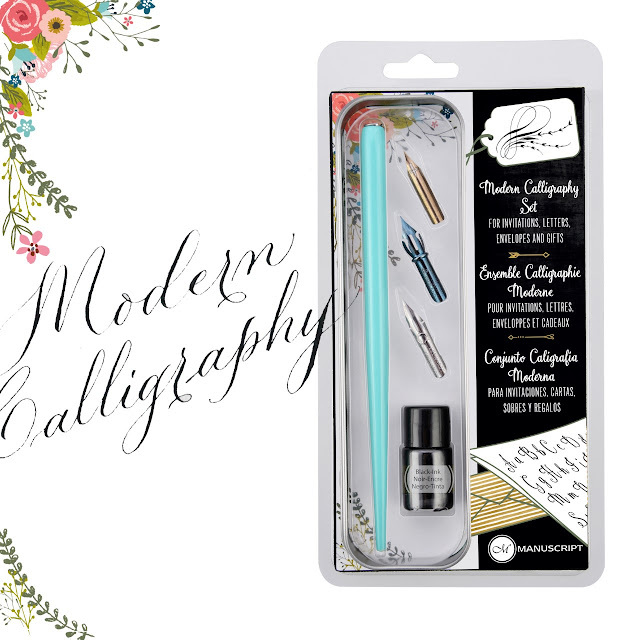 This prize is just what you need if you're looking at starting to learn calligraphy or simply want to give it a go. Terms & Conditions - UK only I'm afraid. There is one winner. When the winner is announced I will email them and they'll have 24 hours to respond. In the case that a response isn't received within 24 hours another winner will be picked. I will pass the winner's details on the PR company, who will send out the prize directly. Have you ever given calligraphy a go before? Calligraphy is always something I have wanted to get into and this workshops seem like the ideal way to do that! You've picked it up well in a short space of time. I sat down and had a go at the alphabet last night. Now I need to move on to words and phrases. I found it strangely relaxing and it was nice to have time away from screens. I've just started to get in to calligraphy so will have to see if any workshops are on near me :D you've got me all excited! Wow so interesting. 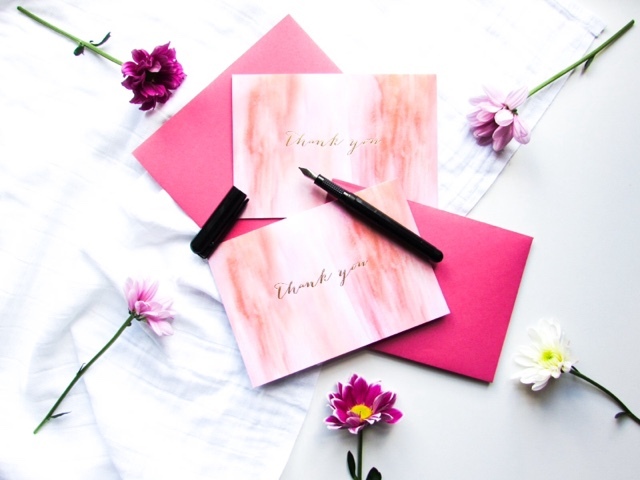 I absolutely love hand-written cards (receiving them mostly! ), I would really love to learn I'll put that calligraphy fountain pen set on my wish list! I was using, for a while, 'touchnote' to send cards etc with pictures on, and I loved that it was all typed on to save time and money but I've just come back to the old fashioned cards, nothing beats the personal touch, or elegance! I do love the look of calligraphy I'm envious at how pretty it is. I don't think I'd have the time or patience to learn. 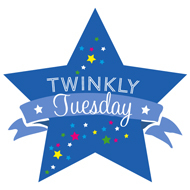 How lovely, I want to get into this, actually my husband got me a set for my birthday but I've not got around to it! Must use it! Ahh I would love to learn how to do calligraphy properly. I used to do a lot of it when I was younger but have lost touch now! Oh Wow! I had no idea there as such thing as a Pen Museum. I really wan to visit this place now. I love calligraphy and always wish I can do such beautiful writings. Such a great activity for kids and parents to do together! Great post. I can try this writing activity with my kids. I am sure they would enjoy it. I like that you can make cards and letters extra special. Calligraphy is so beautiful, I would love to be able to write like that. I'll have to give it a try. I'd love to be good at calligraphy. We might have to have a ride down to Birmingham and see what it is all about. Beautiful work! I love calligraphy (and typography) but I'm left-handed and it turns into a very smudge-y affair! I do think hand-lettering and handwriting in general is a great skill -- I'm sure it's make a comeback in art classes and schools in the near future! Calligraphy looks so lovely. I'll have to give it a try myself. Calligraphy and hand lettering is something I've wished I could do for a long time. I did it a little at school but that was so long ago, I've forgotten lol. It looks so cool in bullet journaling and would be good to write cards and envelopes nicely. I love how old school it can make writing look. My mum learned Caligraphy but hasn't used it in years. I'd love to learn myself. And I love your birthday card with the balloon! I have never tried it before, but I think it is a beautiful skill to learn. I love calligraphy,m and I never knew their was a day dedicated to it. I'm getting married in April and would love to be able to write our placecards etc! I love calligraphy and your designs are amazing. I wish I could attend the workshops. It's just so far away.